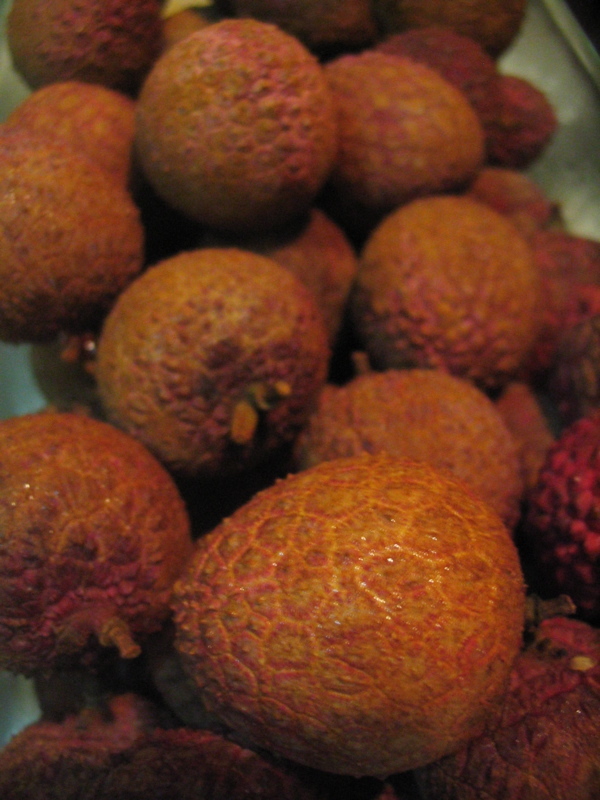 It's lychee season! There are two varieties in Taiwan. One has a small seed in the middle and is sweeter, delicous and more expensive. The other variety has a larger seed in the middle and is still sweet and delicious, and not as expensive. These are the second variety.